It’s not the size of the space that matters but the way you decorate it. Smaller living spaces call for deliberate design tactics in order to make the most of the space. For an attractive yet comfortable look and feel, focus on key design principles like function, storage, textile choices, colors, and lighting. You should also pay mind to the art of illusion in design, as this can be especially effective in decorating small spaces. When decorating your home or apartment, take some time to truly consider what you will do with each space. Give thought to the function of the area as well as the tasks or activities that will commonly occur there. Ensure comfort where relaxation is the main focus and strive toward convenience in working areas. Smaller spaces are less forgiving when it comes to clutter, so do your best to avoid this burden altogether. Think long and hard about bringing new items into the home if you’ve got a modest footprint. 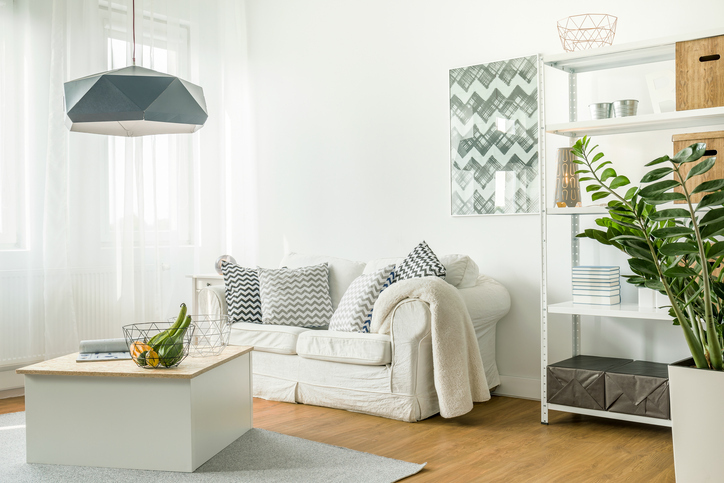 You can also look into creative home furnishings that double as storage options. Think vertically with shelving and built-ins that can offer storage space without making the room look smaller. Patterns and colors throughout the home can convey mood, carry a theme, or make the space look bigger or smaller. Lighter colors tend to make a space appear larger while darker tones seem to imply the opposite. Consider juxtaposing dark and light from one space to the next, such as in a foyer to a living room, for more dramatic effect. Choosing hues in the same color family can also help to expand the space. Natural lighting can open up a space better than any other kind. Welcome beautiful, natural sunlight with the help of new windows, expanding the space and accenting your existing décor with lovely views. Improved windows can eliminate drafts while providing protection against water damage and other concerns, but they also enhance the home’s aesthetic in a number of ways. New windows look beautiful against the walls of each room, and the transparency of the glass creates a more open and airy feel inside the home. You can also hang mirrors throughout the home to expand the look and feel of your living spaces. A large wall mirror functions much like a window, creating the appearance of more space. Mirrors reflect the natural light, creating a more pleasant and less cramped atmosphere. Small spaces offer just as much opportunity for creative design and décor as larger spaces–it all comes down to your creativity. Open the field of view with new windows, add a mirror to expand spaces, and mind your colors and patterns. You can create the illusion of a larger space with a few design techniques and your own flavor of creativity.